Dan Sockle’s career has been mostly in intelligence, criminal and civil investigations. Dan was a communications intelligence analyst and criminal investigator for the US Army, retiring as a supervisory special agent/CW3 in 1992. He served as a CID agent in the first Gulf War (Operation Desert Storm), and as a Research Manager/Cultural Advisor (contractor) on “Human Terrain Teams” in Kirkuk and Baghdad, Iraq, in 2008-2009. He has taught classes for the Clark College Mature/Lifelong Learning program and conducted numerous presentations, workshops, training and brie fi ng sessions both in the military and later with the State of Washington’s Risk Management Division in Olympia, Washington. He has a B.A. in Criminal Justice (Univ. of Nevada/Reno) and Masters in Public Administration (The Evergreen State College in Olympia, Washington). His volunteer work has included coaching youth sports, Kiwanis, Crime Stoppers, community mediation, veteran advocacy and Rotary – where he founded and chaired his first club’s “Peace & Conflict Resolution” committee, served two years as the “Service Projects Director” on the club’s board, and now collaborates with other Rotary “Peacebuilders” as a member of the new and evolving Rotary Club of Three Creeks. 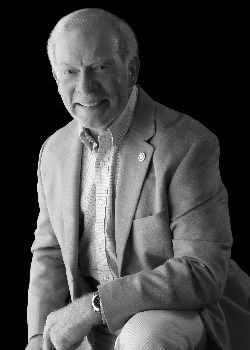 Dan is equally proud to serve on the board of the Community Military Appreciation Committee (CMAC/website: cmac11.com) supporting veterans and military families in the greater Vancouver/Portland area.